Rated 5 out of 5 by sbechirian from Excellent for laptops! Won't burn your computer. Very light game. You'll play it over and over again. A classic. Rated 5 out of 5 by Faerieschyld from Great RPG series This was one of the best game series I've played on BF in a long time. I'm pretty tired of HOG games and just never realized there were rpg's that are along the same lines as Final Fantasy games. There's adventure, humor, puzzles and if you play on the expert level you will have somewhat of a challenge. It is definitely worth buying. Darkthrop Prophecy did give me quite a challenge initially, because it is a stand alone game but it is also part 4 in the Aveyond Orb series. So as I was so strong at the end of 3, I was kind of bummed when I was so weak in the beginning, but I like a challenge. I always play on expert as I've always played rpg's. If you are tired of HOG's and need a change and want a challenge give this a try, you won't be disappointed. Rated 5 out of 5 by maxikyd from Clunky but fun Having played all the Aveyond games, I know I can give a fairly objective review. The bad: visuals/graphics are basic and very old school; the characters can only walk in straight lines and make 90 degree turns to avoid obstacles or attack monsters (think Pacman) .Game view is from a roughly 45 degree angle down. 3D doesn't exist. Music--well, think Pacman again. Characters are not voiced, so you have to read the dialogue. Battles are pulled off the game board and proceed on a turn by turn basis. The good: well, I loved these games. 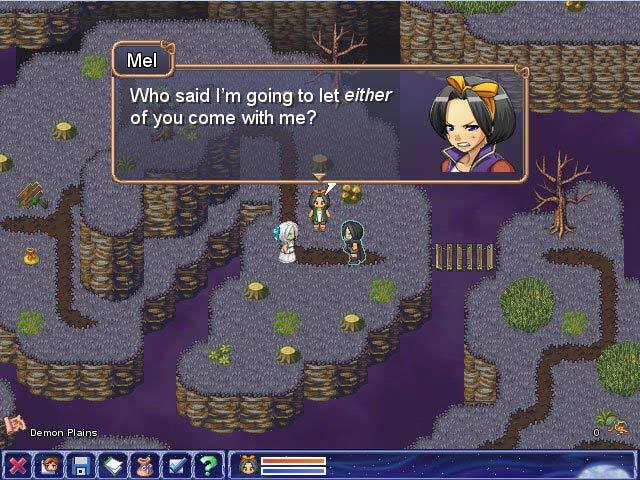 As in more sophisticated games, choice of companions effects gameplay in such a way that it is wise to keep all of their equipment up-to-date and to change up from time to time.The characters are all quirky, the plot twists occasionally, and the enemies are interesting; so much so that I forget I'm playing in 2D. I eagerly away the next installment (hint, hint, hint). Rated 5 out of 5 by renfergy from Great Game! I love the Aveyond series! Great RPG and I am glad to have these be apart of Big Fish's adventure category as the majority are hidden object (so frustrating that they are in 2 categories) and I am not a fan of them. Great storyline, fun side quests, and hilarious banter. Really enjoyed it. Rated 5 out of 5 by fahr451 from One of the most interesting RPG I ever played This is among the best games, if not the best, of this genre. There are many positive aspects with respect to similar games: - very long - it lasted almost 16 hours for me! 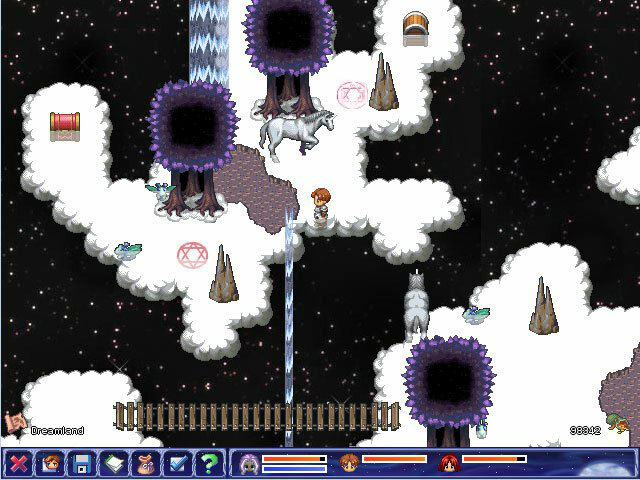 - huge world with several areas and cities, all of them full of details - excellent storyline, engaging and easy to follow - interesting system to learn new spells - you are often required to do careful choices, like spells to learn or items to purchase (like in real like, you don't have money for everything!) Of course you will appreciate it more if you played other Aveyond chapters, but I don't think it is strictly needed. 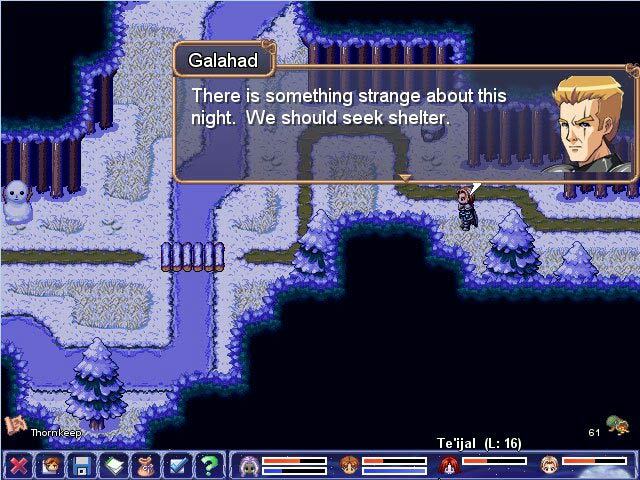 In short, if you are looking for a well-written, engaging, balanced and long-lasting RPG, search no more :-) PS: The end of game seems to suggest there could be a sequel but, AFAIK, this was the last part of the Aveyond 3 saga... too bad. 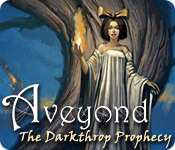 Rated 5 out of 5 by MgcHpns from Aveyond series Think of this game as Aveyond 3, part 4 (the final chapter). I recommend starting with Lord of Twilight to understand the storyline, as there are four parts to this version in the Aveyond series (after Lord of Twilight is Gates of Night, followed by The Lost Orb- all four can be played as stand-alone however) Great old school RPG game. Excellent gameplay and storyline (love the vampire humor) I highly recommend all games in this series, including Aveyond 1 and 2. Rated 5 out of 5 by cassidy149 from most awesome game eva!!!! this game is soooooooooooooo fun its even better than cute knight! Rated 5 out of 5 by briannabanana315 from Awesome I absolutely love this game! It's fantasy and it's not very easy!!! My favourite computer game! !